Current farming practices might only be viable for another 60 years, says the Food and Agriculture Organisation of the UN. One way to mitigate erosion and improve farming methods is agroforestry. In tropical countries the system of agroforestry is already an established method to grow a few high value crops like cocoa. But in more temperate climates it is largely unknown nowadays. Time to change that! Agroforestry is a combination of Agriculture and Forestry. Agriculture being nowadays mostly the growing of (annual) crops and pastures (ranching) and forestry the growing of trees. There are a myriad different ways to implement it. Alley Cropping – Combines cereal cropping with plantation trees for mutual benefit and diverse product offering. Food Forest – small scale production system for home scale self-sufficiency combining all layers of a natural forest from trees to shrubs, herbs and root crops. Windbreaks – Separation of different fields or paddocks with hedgerows of timber or edible trees minimise wind erosion and promote natural pest control. There are multiple benefits to include tree crops in agricultural systems. First of all a grower can diversify his/her portfolio by including perennial plants like trees in their operation. A bad year might wipe out a grain crop but it might be beneficial for a tree crop harvest like producing extra sweet apples or nuts. In understorey systems, the increased shade and different root depths could increase survival rates for the crop plants. Although there has been some evidence to the contrary (that’s science for ya). Trees lower wind speeds and reduce soil erosion due to wind. They also increase shelter for livestock which results in lower premature deaths for newborns, faster weight gain and happier animals. This is also great for the soil obviously. You can read more about soil and climate in my article here. Hedgerows can provide habitat for many species such as small birds and lizards that have largely disappeared from broad acre farming. The more diverse the plantings the more niches are provided. Agroforestry might be a good way to balance economic development with biodiversity needs. Agritourism can be a good opportunity for a farmer to generate income that is more reliable than the weather and promote an image of a progressive farm. A farm with lots of trees and animals is the image that people are looking for when they want to relax in the country. Humans and especially farmers are largely experiential, they need to see something to believe it. Positives like the lack of wind damage or increased dew production are hard to see, but negatives like lower yield in grain are not. Also contributing are shifting priorities in politics. „If a farmer plants a tree now he doesn‘t know if he can ever fell it again because of changing conservation regulations.“ Burkhard Kayser told me. He has been a driving force behind Agroforestry in Germany for 20 years and worked with many farmers and politicians on promoting it. There needs to be a clear definition and legal framework to make sure farmers feel empowered to make the right decision. Trees in cultural landscape need to also be seen as tools for production with the added benefits of their natural values like habitat provision. Management and sometimes felling are necessary to achieve the most benefits. But they can even be more effective as conservation tools. „I can create a nesting hollow for an endangered leadbeater possum in 8 years with careful pruning. So you don‘t have to wait for 50 years until a limb drops at exactly the right time without management.“ said Rowan Reid from the Otways agroforestry network. In the past, different policies encouraged farmers to fell trees on their properties in Australia and in Germany. And the incentives aren’t clear and encouraging nowadays either. At the moment in the EU, there are many limitations on what constitutes an agroforestry plot. To not lose funding from the EU, all the trees in a plot needs to be the same species for example. The farmers who use agroforestry in their operations currently in temperate climates are mostly early adopters who risk reduced subsidies and changing conservation laws. In order to enable farmers to make an informed choice, a secure regulatory framework is needed. Most farmers are also scraping the bottom of the barrel financially and therefore couldn’t justify the initial investment in setting up such a system, said Christian Böhm from Technical University Cottbus. He has been working with other enthusiasts in the field to help make Agroforestry an option for farmers. 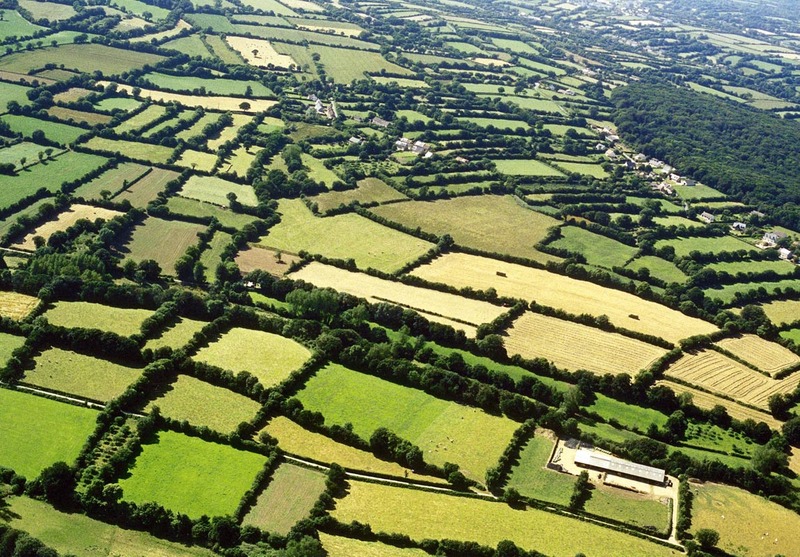 Another problem is land ownership because many plots in Europe are only leased and therefore farmers don’t want to engage in long term projects like planting a 20y cycle agroforestry system. All in all, there are multiple benefits to systems incorporating trees into farming systems. Past policies by the EU and other countries have led to large-scale destruction of historic smallholdings and sectioned farming landscapes. To get a diverse human and diversity centered landscape with trees back requires changes on many levels. Policy needs to be clear, reliable and long-term focused. Initial support might be necessary to incentivise the set-up of these systems. Availability of machinery and education for farmers needs to be promoted. This might lead to more demonstration sites and spread the word. It seems like it’s still a long way back to the romantic rural landscapes of the past.